Much appreciated by both men and women, botox injections are easy, fast, highly effective, They can be made all year round and make no downtime. Usually appreciated from the age of 30 years onwards, but can be injected earlier for severe frown marks and/or excessive sweating. Botulinic toxin helps get rid of negative facial expressions (sad or preoccupied look) whilst conserving positive facial expressions, mostly by improving eyebrows position and angle, i.e. "opening the eyes", reducing involuntary frownlines between eyebrows (glabellar lines), around the eyes (crow's feet), on the forehead, neck, at the lower corners of the mouth, as well as puckering of the chin &/or upper nose. Botox is also used efficiently against excessive sweating (armpits, hands, feet or forehead). Results last 4 to 6 months usually. After this period, muscle contraction reappears progressively. Regular maintenance sessions allow consistent, uniform and natural results, long-term aging prevention. Botulinum toxin has been used to treat neurological symptoms for more than 20 years (headaches, pain, etc.). There have not been serious systemic side effects reported when botox is used at the recommended dose to treat frown lines. Indeed, in aesthetic medicine, doses are extremely lesser than in neurology. Botox injections are well documented and if performed by a professional, side effects are very rare. To be noted that the toxin in itself has no side effects on the metabolism when proprely injected. Indeed, botox does not pass into the bloodstream, there is no "vaccine" effect nor stimulation of antibodies, as botox is injected in a muscle. The product, syringes and needles are sterile, single use and the strictest hygiene measures are applied by Dr. Roux during the injections. 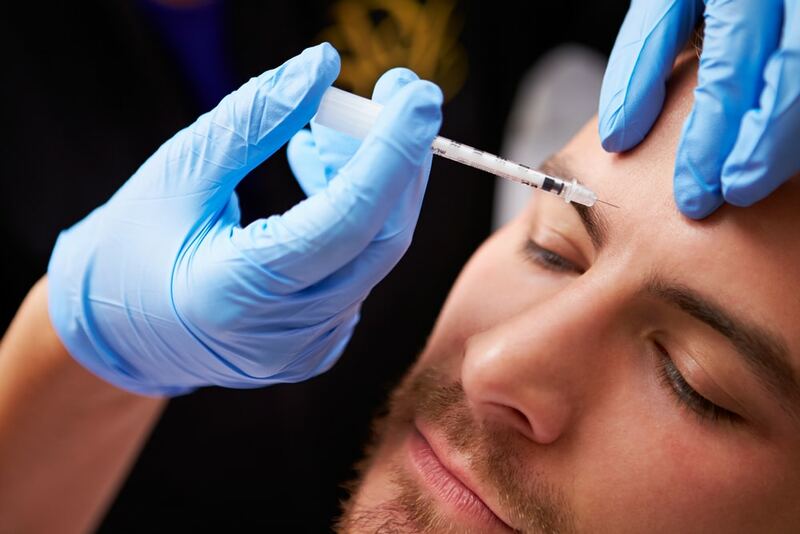 In case of excessive sensitivity of the patient to botox or if a muscle was initially rather "weak", or in case patient has vigourously maniuplated treated area after injections, eyebrow asymmetry or drooping eyelids may temporarily occur. In principle we avoid these complications since we never inject disproportionate quantities of botox. However should this inconvenience occur, it normally disappears on its own after just a few days and if not, shall be corrected by Dr Roux during the free control session. Sometimes, although rare, we have seen small bruises at injection sites or temporary redness easily soothed by application of arnica or cold. 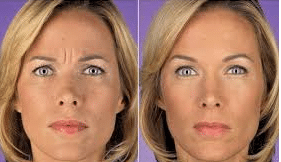 As years go by, muscles tend to contract more and more, involuntarily creating a sad or angry look, mostly due to the glabella wrinkles (between eyebrows), crow's feet and forehead lines. Muscles are also responsible for the lowering of the mouth and the lines appearing on the neck. The botox molecule « tires » the muscle, which becomes less able to contract itself. The aesthetic medical doctor's biggest difficulty consists in taking away "negative" frowns without removing expressiveness and making sure not to "freeze" the features. With this in mind, Doctor Roux recommends subtlety, as for instance only partially removing crow's feet after a certain age, since their complete absence would be unsightly on a smiling face and it is important to remain perfectly in harmony with the whole physionomy. Another fantastic medical use of botox it to control excessive sweating. Pregnant or nursing women, a person under the age of 18 years, neurological diseases (e.g. myasthenia gravis), anticoagulants. Ongoing eye infection, certain medications, can disrupt results. Botox injections are safe, well tolerated, not painful, and require no down time. The injection session lasts approx. 20 - 30 minutes. Local anaesthesia is not necessary. Makeup is authorised right after the session and you can resume your activities right away. Botox acts gradually over the following days, the final results are normally visible after a fortnight. As a rule, we offer a free control session 15-20 days after your treatment (any correction to initial treatment is free of charge). Microinjections of botulinum toxin block the receptors responsible for perspiration in armpits, hands or feet. Local anaesthesia is essential for hands and feet. You are comfortably settled in a long chair until the local anaesthesia takes effect (xylocaine spray). Dr. Roux will then gently perform the botox micro-injections. Injections are shallow, and with the anaesthesia there is little or no pain. The whole session lasts about 40-60 minutes. The effect appears after a few days and lasts from 4 to 9 months depending on the person. After this time, perspiration gradually resumes. Treatment may be renewed thereafter. Two or more treatments can be made per year if need be. If you are mostly affected by this problem during warmer months, 1 session before summertime should suffice to relieve excessive sweating until the fall. Makeup can be re-applied just after the injections and patients can resume their activities, without anyone being the wiser.Although rare, bruising or temporary redness cannot be excluded at injection site, easily overcome with arnica calming creams. We recommend not to massage treated areas for 8 hours after the session, particularly avoiding downward movements with your hands, to prevent bringing the botox down towards the eyebrows. All movements must be directed upwards (towards the hair), even during make-up removal or application of creams. We prefer you avoid anti-inflammatories, including aspirin 24 hours before the treatment, to limit appearance of bruises. Sports, sun are authorised after the session. The final result is visible after 10-15 days, so we schedule a control session approx. 15 days after the botox injections, to complete the treatment if necessary. It is wiser to act this way rather that inject the whole dose on the first session since the risk of eyelids lowering is not totally unexistent. The muscle relaxation effect of botox starts after 2-4 days to be maximal at 2 weeks, and lasts on average 4-6 months. After, the muscles form new "synapses" and become progressively able to contract again. If one does discontinues regular botox sessions, the face simply resumes its natural state. It is better to have regular repeat sessions, usually twice a year, thus maintaining constant, homogeneous and natural results, than await all of previous botox session’s results to have completely disappeared and wrinkles to return. Indeed, when wrinkle-free, the overall condition of the skin is improved. It is therefore advisable to schedule your next botox appointment early enough to maintain this anti-aging prevention. For excessive sweating, we will adjust the number of sessions according to your needs.